Back on 17th August - and as it was still the silly mid-summer season - I posted this silly piece on the History Girls blog. 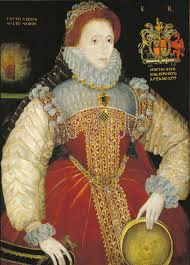 Usually, the excellent History Girls blog is full of well informed and interesting posts about all sorts of aspects and periods of history, written by a host of historical fiction authors, so if you have landed her on the Cranky Laptop, I'd advice you that the HG blog is well worth investigating. NB. My next HG post on 17th September should be rather more serious. Should! and Other Writing Lessons from Shakespeare. 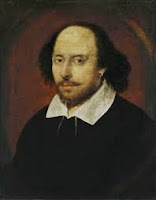 “Blah, blah, blah!” – exact context later – is how this post starts, and it is partly about some writing points learned from Shakespeare or, more accurately, whilst watching BILL, a fictional comedy about Shakespeare’s lost early life. 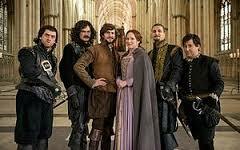 Created by the Horrible Histories team, BILL echoes the “historical” style of Python or Blackadder, with members of the company playing several roles. The film is light-hearted fun although one can also play the slightly smug-faced game of spotting the Bard quotes and historical references. The plot is simple: young Bill - full of dreams, vanity and confidence - sets off to make his artistic name in London, leaving his wife and children behind in rural Stratford-on-Avon. Meanwhile, King Philip of Spain is hatching a dastardly Catholic plot against Protestant Elizabeth and arrives with his men on a disguised diplomatic visit. What better way could there be to get close to the Queen than to stage a play in her honour and invite along? Surely nothing can . . . The enticing play, of course, first has to be written, and at the end of a series of errors, entanglements and revelations, young Bill unexpectedly gains the favour of Queen Elizabeth I, a little financial security, and the “William Shakespeare” of that image is born. - Bill the dreamer, losing his bundle-on-a-stick of belongings as he enters the filthy, crowded and violent city. - the leather-clad King Philip of Spain - a man of many moustaches – practising his sword-skills. - the sudden appearances - and disappearances - of cunning Spymaster Walsingham. - the hidden war-room of the Catholic insurgents. - Queen Elizabeth, played by Helen McCrory, displaying Big Royal Attitude as well as ghastly teeth and make-up, who alone is worth a mention on the History Girls blog. 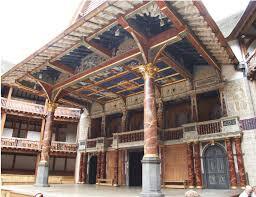 As well as Occasional interior images of the Globe Theatre. I admit that BILL was neither deep nor soul-changing, but the film felt right for some cheering-up on a grey afternoon. The film made good holiday viewing with older children a second time around too. Besides – and the point of my HG post – is that all the way through the script, Bill is learning useful things about the work of being a writer. Here’s a glimpse of the trailer. And here are some of Bill’s useful life-lessons. *Bill, unwilling to conform to the lute style of the local music group Mortal Coil, leaves Stratford and sets off to find fame. Moral: Sometimes you have to believe in your own talent and set off in other, more solitary directions – and sometimes it’s best not to upset everyone at home when you do. *Bill, starry eyed, arrives in London, trying to find where it’s all happening. Moral: Try to find out about the networks and structures of one’s craft but be wary: not every offer that comes along will be beneficial. *Meanwhile, Lord Crawley, who plans to win Queen Elizabeth’s favour by writing a play, decides it will be easy. “It’s just talking written down,” he declares. Too soon, and under pressure, he discovers “Blah, blah, blah . . . (followed by a big, angry sigh of exasperation) God, writing is HARD!” Moral: Writing is not as easy as some people think it is, nor done at all as quickly as one might expect. 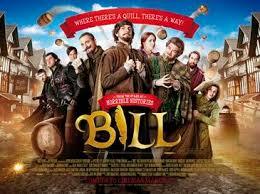 *Bill, in an enthusiastic frenzy, writes an over-blown script crammed with every “Shakespeare” plotline we recognise. Moral: Bill’s crazy first draft isn’t perfect. He has to shape it into something that makes sense to his audience, but those discarded ideas can be used for another story or another genre. *“You’re a writer. I’m a writer too!” young Bill declares, sitting closer to Christopher Marlowe. Despite Marlowe’s own troubles, he spends time helping Bill to structure his play, “modelling” how to work hard on a project. Moral: A good mentor is invaluable to a young writer, especially when they demonstrate how to work like a professional. 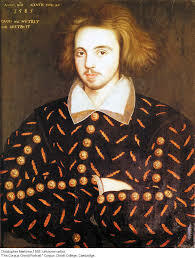 *Unfortunately, Christopher Marlowe, although a “successful playwright”, is already fatally troubled by debts. He tells young Bill. “There’s no money in it. I can’t even buy a house without borrowing money I can’t pay back.” Moral: Writing doesn’t often bring a cosy, profitable life. Nor, for Marlowe, does Spying. *Bill’s early “acting career” (within this film) shows him dressed as a tomato in the market, handing out leaflets promoting the eating of vegetables. Marlowe, alongside, appears dressed as a cucumber. Moral: Bill has big dreams but he has to do less noble work before he hits the big time, even if his family are horrified. *Bill, struggling to write a new play, despairs and feels he doesn’t know what or how to write. Moral: Bill learns to “write what you know”, drawing on his own knowledge and emotions, even though his plot might be set in an enchanted wood. Finally, Bill learns to be alert to other people’s agendas too, especially when they involve barrels of gunpowder and plots against the Queen. Moral: Make sure you have good ending! Released to celebrate Shakespeare’s 2015 anniversary, the BILL DVD brought some enjoyable “holiday” moments this summer, including the glimpse into the scriptwriters thoughts on the world of writing. Now that the visitors have left, I’ve peeped back into the world of “Bill” again, as I am reading SHAKESPEARE’S RESTLESS WORLD: AN UNEXPECTED HISTORY IN TWENTY OBJECTS BY DR NEIL MACGREGOR. 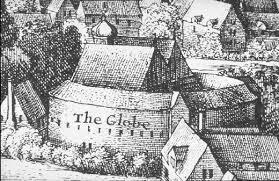 An interesting collection, only just begun – and I had never quite realised the precise importance of calling one’s theatre “The Globe” at that moment in time. 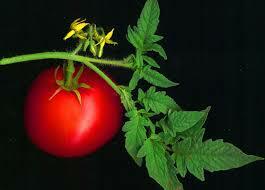 And, yes, the Mortal Coil do “shuffle off” and John Gerard’s Herbal, written in 1587, dismissed tomatoes as “poisonous and of rank and stinking savour”, so this would have been a very trying task for a young and hopeful actor.